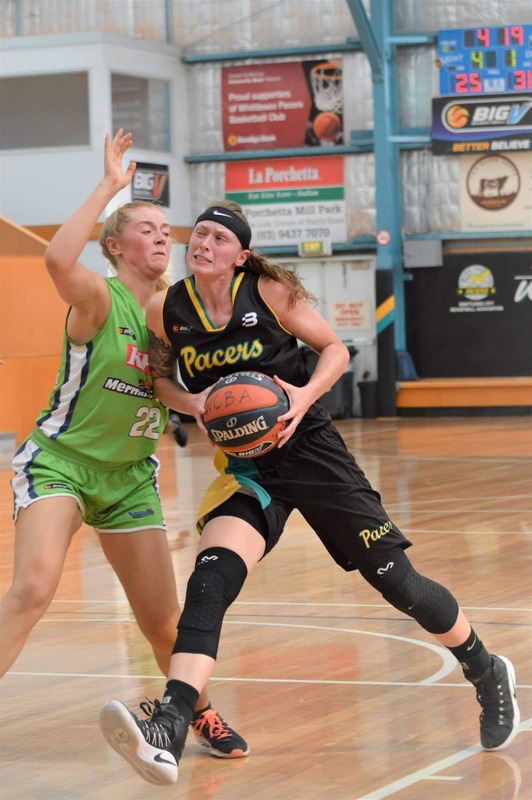 WHITTLESEA Pacers’ women got their first win in the Big V’s State Championship with a 73-58 triumph over Warrnambool Mermaids at home on Sunday afternoon. A back and forth first quarter saw the Pacers take a seven-point lead early before a 10-0 run from the Mermaids. Whittlesea responded with a 6-0 run of their own and take a one-point lead into quarter time. It was all Pacers in the second period, with a 18-2 run blowing the margin out to 16 points at half-time. With a strong lead for the Pacers, both sides traded buckets throughout the second half as Warrnambool closed the margin to seven points late before a 10-2 run by Whittlesea sealed the win. The Pacers’ got the job done in the paint and in the mid-range, shooting 28-80 (.350) from the field but taking just 10 three-point shots, making four. The Pacers’ stifling defence was able limit the Mermaids to just 28 per cent shooting from the field and three-point range. Import Rachel Bell was unstoppable, dropping 45 points to go with 10 rebounds and two assists. Fellow American Dani Reinwald was against dominant inside with 16 points and pulling down 23 boards. Whittlesea’s men didn’t fare quite as well, going 0-2 on their weekend back-to-back. The Pacers opened the weekend with a 90-64 loss to the Warrnambool Mermaids at home on Saturday night. Warrnambool opened up a 10-point lead in the first period and never looked back, leading all the way. The Mermaids would blow the lead out to 30 in the third quarter before easing up slightly as the Pacers brought the margin back to 26 points in the end. Dominic Bruno had 15 points and 11 rebounds for the Pacers while import Hakeem Simon chipped in with eight points and 10 rebounds. Aaron Harrison did the damage for Warrnambool with 31 points and 11 rebounds. Placed in a tough situation, having to back up the next day and travel to Mornington, Whittlesea went down 96-53 to the Western Port Steelers. The Steelers led from start to finish on the back of a strong shooting performance. The hosts went 34-75 from the field and 15-43 from three-point range. They also made their opportunities at the free throw line count, making 13 of 14 attempts. Meanwhile, there was a lid on the hoop for the Pacers who shot just 19-77 from the field and 2-17 from beyond the arc. Whittlesea had a tough ask trying to stop four-time NBL champion Daryl Corletto as the former Melbourne Tiger had 21 points. Dominic Bruno backed up his performance on Saturday with 19 points and six rebounds while Jayce Beasley had 11 points and six rebounds.